Leiningen Versus the Ants is one of my favorite short stories of all time. There seems to be some debate as to whether or not this story is in the public domain with at least one site claiming that it is, but after modest research I have concluded that it is not. It was originally published in Esquire Magazine in December of 1938, and they definitely renewed their copyright: "Esquire: issues renewed from autumn 1933 (v. 1 no. 1); see 1961 Jul-Dec." So the story cannot be presented here but I can provide a summary and simplified critical analysis. You may also enjoy reading our collection of Dystopian Stories. The Brazilian official threw up lean and lanky arms and clawed the air with wildly distended fingers. "Leiningen!" he shouted. "You're insane! They're not creatures you can fight--they're an elemental--an 'act of God!' Ten miles long, two miles wide--ants, nothing but ants! And every single one of them a fiend from hell; before you can spit three times they'll eat a full-grown buffalo to the bones. I tell you if you don't clear out at once there'll be nothing left of you but a skeleton picked as clean as your own plantation." 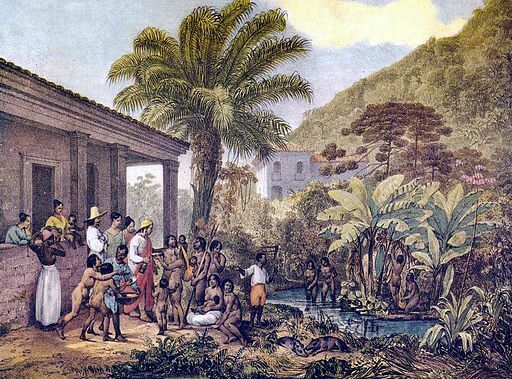 The plantation workers are frightened, Leiningen offers them full pay and allows them to leave. But the boss is such a force of nature himself that some workers stay behind to implement Leiningen's formidable battle plans to defeat the ants. Using a series of canals, ruses to draw the ants off course, and petroleum fires, the people and the ants engage in a days-long battle. The canals prove effective at first, but soon, the ants learn to cross the canals. Some ants willfully jump into the canals and drown, but their floating bodies are pulled into rafted bridges and that the other ants use to cross. The battle rages on over days and the humans are trapped in a concrete ditch ringed with fire. All seems lost, then Leiningen realizes that he could breach a dam, two miles away. While that will flood his plantation and destroy the crops, the people will live. Despite the ferocity of the ants, Leiningen determines to wrap himself in petroleum rags and run two miles through the ants to get to the dam and breach it. On his way back he stumbles. He recalls witnessing the ants once pick a downed stag clean to the "white bones" and he resolves not to die that way. Leiningen struggles to his feet and returns to safety. He is badly hurt but alive. At the end of the story he is recovering and states, "I told you I would come back, even if I am a bit streamlined." The story has some rather obvious themes and elements; like man versus nature. But it also has strong political overtones. For American, British and other western democracies in 1938 and 1939, the ants could be interpreted as representing the rising threat and encroachment of totalitarianism. 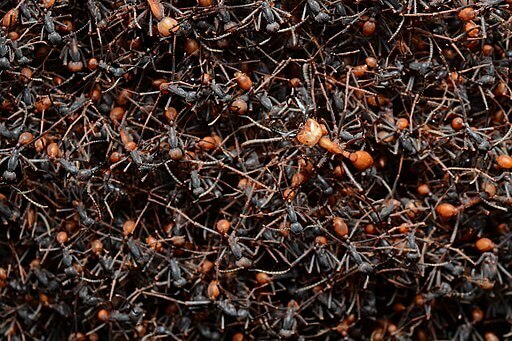 The ants willingness to drown themselves to further the attack of their "comrades" was particularly mindful of the sacrificial fervor that many westeners feared while watching the rise communism and nazism. The final triumph of Leiningen demonstrates that industrious, courageous "humans" can overcome the savage horde, even if they end up a little "streamlined" in the process. I find Leiningen Versus the Ants to be an absolutely brilliant and entertaining story, especially when its political commentary is read with the benefit of history and the horrors that began to unfold soon after its publication. If you like this story summary, you may enjoy reading a similar story, The Empire of the Ants by H.G. Wells and Henry David Thoreau essay, The Battle of the Ants. For a different type of survival jungle story, you may enjoy The Most Dangerous Game by Richard Connell. Add Leiningen Versus the Ants to your own personal library.